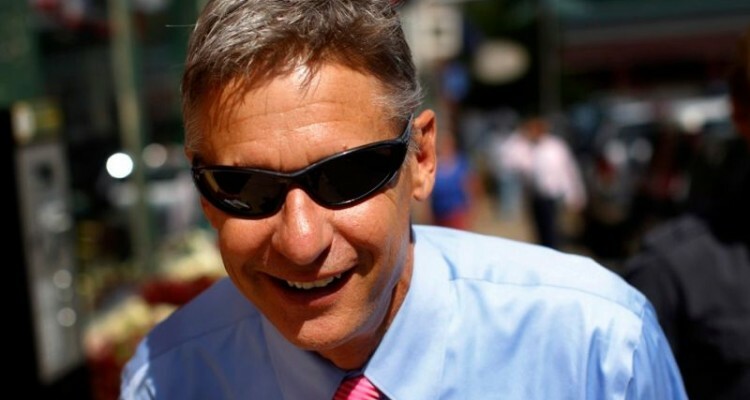 NEW YORK – (CT&P) – Former New Mexico governor, Libertarian Party presidential nominee, and dedicated stoner Gary Johnson broke his pledge today not to smoke pot before the election in November. Johnson appeared to be totally baked on Morning Joe this morning when he was interviewed by Mike Barnacle, a frequent guest on the show. Barnacle was quizzing Johnson on the situation in the Middle East when he asked what the candidate would do about Aleppo. “About who?” asked Johnson from behind a pair of dark sunglasses. As Barnacle was shaking his head in disbelief, Johnson stared off in the distance and appeared to be deep in thought. Then a light bulb seemed to go on in his head, and he broke out in a huge smile. “I don’t see why those folks can’t just sit down, chill out, and love one another,” said Johnson as he furiously scratched the top of his head. Barnacle ended the interview after Johnson asked for some potato chips and dip for the third time in as many minutes. Breaking his pledge could be a serious blow to Mr. Johnson’s campaign, just as he is making a final push to improve his standing in the polls. His support needs to reach 15 percent in a series of major national polls to be included in the presidential debates. On Twitter the question “What is Aleppo?” is trending, with many critics arguing that Mr. Johnson has disqualified himself from the presidency. However, the RNC has already approached Johnson about running for governor in Colorado.